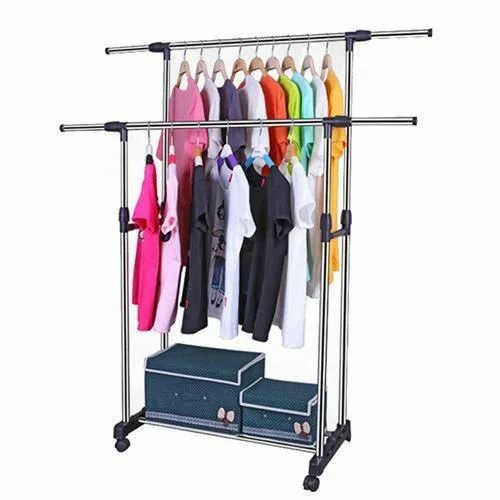 Double Pole Clothes Hanger is new and high quality made from strong and durable stainless steel construction with adjustable height. It is a perfect solution to clothes storage and organizing. It features large capacity and also super convenient. The bottom layer is great places for shoes, boots etc. 4 wheels included for easy movement. Space saving piece, great for home and office. Easy to assemble (no tools required) and folds up when not in use.